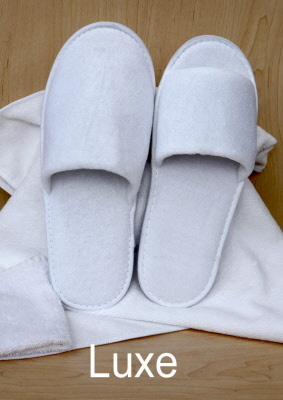 The luxury of velvet with a thick, soft sole, this is the ultimate welcoming hotel slipper and a prestigious product in our range. 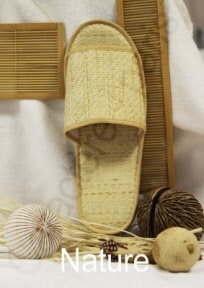 The Business slipper is a great compromise between quality and price..
buy 4 packs of 25 (100 pairs) and get 10% discount. 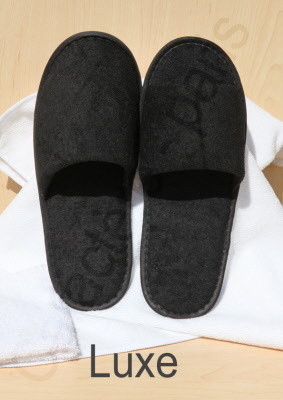 20 pairs of disposable, luxurious black slippers for bedroom and bath use. 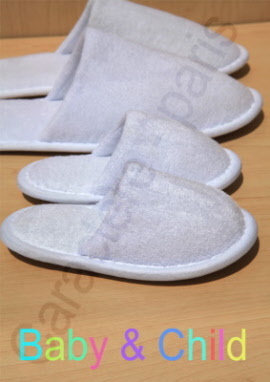 Two sizes and styles available, for both women and men, made with a comfortable foam insole that makes it easy to walk around in these slippers. 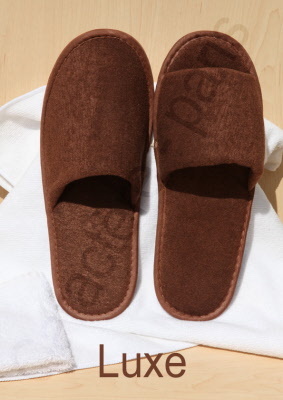 25 pairs of disposable, luxurious chocolate slippers for bedroom and bath use. Two sizes and styles available, for both women and men, made with a comfortable foam insole that makes it easy to walk around in these slippers. 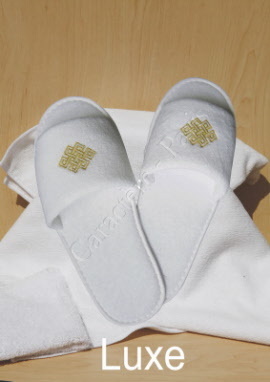 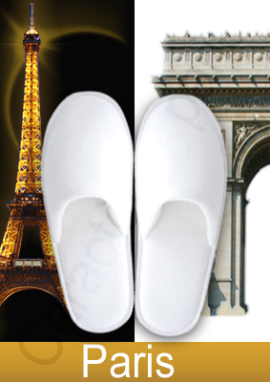 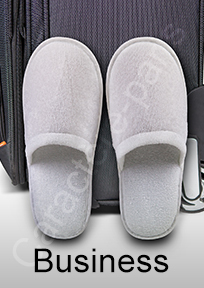 Luxurious disposable slippers, embossed with your logo – a customised touch your guests will love and which serves as advertising on the go! 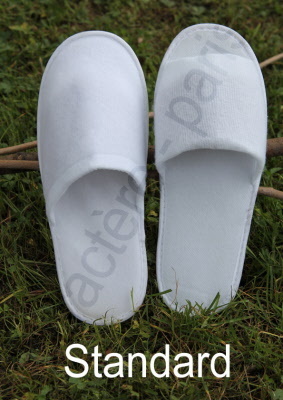 20 pairs of disposable closed-toe or open-toe white slippers for bedroom and bath use, with 4 sizes and 2 styles available, for both women and men and 3 kid's sizes.